P&O Cruises invented cruising in the mid-1800s and it has been synonymous with the industry ever since, sailing its famous white ships across the seven seas. P&O Cruises’ first cruise in this region took place from Australia at Christmas 1932 when Strathaird sailed for Norfolk Island with a full and expectant complement of passengers. Fine Travel is a P&O Academy Certified Partner. 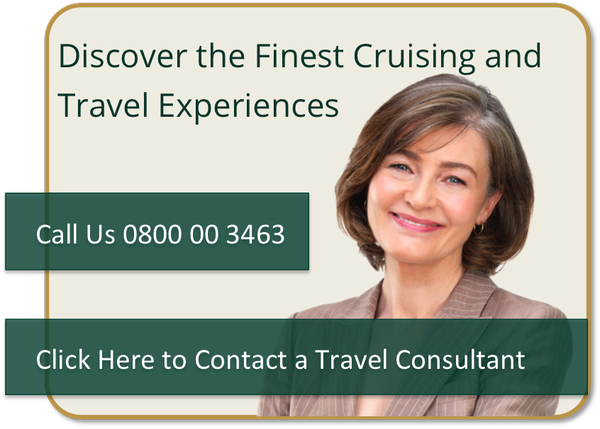 We work directly with P&O to find you the best available price and special offers for your P&O cruise. Did you realise that on any P&O Cruises holiday your fare includes accommodation, all main meals, entertainment and activities, not to mention a new horizon every day? The fact is, when you cruise with P&O Cruises, you’re getting one of the best value holidays money can buy. Compare the inclusions on offer and try to imagine a land-based holiday that can match such incredible value! Today, P&O Cruises continues the tradition providing Australian and New Zealanders with quality, value-for-money itineraries. Onboard there is always something to do. From lavish cabaret performances to live bands and sporting activities to crafts and bingo. You can do it all, or you can do nothing at all. All shipboard activities and entertainment are under the supervision of experienced Cruise Staff, made up of the Cruise Director and Assistant, Social Directors, Sports and Entertainment Staff, Shore Tour Manager and Childcare Co-ordinators. They will help you make new friends, arrange all shipboard functions and give information on the ports of call.